Finished reading the book 6 months ago but then got sidetracked in life not pursuing what I wanted. Going to read it again awesome book though, love the mindset of it. I've read the book and It changed the way I look at life completely. I've read the book - it lead me to this forum. Thank you MJ for taking the time to write the book and in such a straightforward and to-the-point manner. It is much appreciated. I have read the book. Great one! Thanks MJ for your work. PS: I sent a feedback email about the Appendix B of the book. I hope it will be useful. Read it and will re"read" it via audiobook. Great stuff tho! Read it and got hooked straight away. 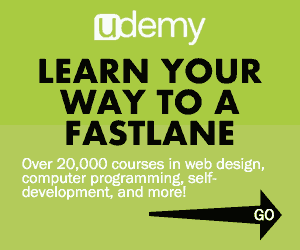 I'm already partly on the fastlane but the book really opened my eyes on several things. Love it! ProgressThread - Stop wasting time....EXECUTE! StompingAcorns and Supa like this. Read the book 4 months ago and was planning to join the forum too. I was very impressed by the writer and liked how he tried to make it a complete book. It's in my top 3. I also loved "how to make friends and influence people" and when I was younger I LOVED "Rich dad Poor dad" even tho Kiyosaki says lots of dumb sht lately about MLM schemes. I loved how MJ DeMarco rationalised great customer service by saying it's all about their expectations. It's so true. Often customers can become more loyal if you messed something up just because you dealt with the issue in a superior way. I also loved how he created several principles to which a company could be tested to. I hope he will write more books! Maybe on managing companies? What a great idea. I've been thinking about accountability partners, and this may be a great way to accomplish that. That you! I have spent years reading internet marketing forums. So far, I'm very encouraged and impressed by the quality of this forum. Thank you, MJ, for a great book and a great place to collaborate! MJ DeMarco and NoRedBMW like this. Read the book and it was the last kick I needed to start taking action towards my dreams, instead of believing those were things only "rich people" could do. MJ, I just finished reading your book. the damn thing kept me up at night, even after I put my book mark in it closed it, put on my night stand and turned off the lights. Your words keep turning in my mind forcing me to think. I can see the errors of my past, where I've been misled, all the wrong information that was given to me by well intentioned people who didn't know better. this book has changed my thought patterns, in fact your book helped me win an argument with she who likes to be right just yesterday, all I had to do was show her the slowlane math that was the basis of her issue, then I showed her the fastlane math and thought pattern to the problem.......Thank you for changing my thought patterns. I already had most of these notions in my head but the gurus and slowlane advice had put my thoughts elsewhere. 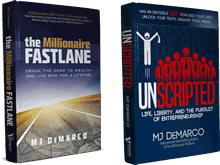 I read the book The Millionaire Fastlane the second time! And guess what ? I will read it even more times because it is truly like a bible for any entrepreneur. MJ, if it wasn't you i would not probably was an employee rather than an employer! Thank you so much for writing the book MJ, God bless you for your kind! I read This book in november 2015.. what about it? It is the most important book i ve ever read..nothing more i can tell you! Now i'm searching for my fastlane and i' m very focused on my targets.. This was not happened after reading the other "financial growth books". I m very proud of our forum!! I had this book keep popping up on Amazon as a suggestion. The title made me skeptical, but I finally noticed that this book had over 900 reviews and over four and a half star rating. So what the hell, I had an Audible credit to kill and figured it was worth a shot. I'm glad I did. The book was well written and easy to listen to as I finished it in a week. The book also led me here, where hopefully I can listen to conversations from some like-minded people on a similar path. Thanks MJ. I 'read' the book, in audiobook-form from Audible. I liked the narration, and didn't think you came across 'hard' just a transparant truth that was good to hear. I will revisit the book again, because I'm sure that I'll learn different things after a while on this forum and pursuing my fast lane plan. Thanks for writing MJ. I read the book last summer when I was on vacation in the south of france. Seeing all the luxury around me I was wondering if it is possible to have such a lifestyle not only for 2 weeks in a year but the whole time. I've been silently reading the forum for some time now and feel like it's finally time to step up and participate. The book is really great. Thank you MJ for writing it. Also liked your voice over in the fight mediocrity video. Kingmaker, Buickestate and MJ DeMarco like this. I've had this book for a few years now and just re-read it for the fifth or sixth time. Never gets old! thanks for including it in the book. It was the first book I've read in another language but the most powerful I've ever read. I read the book last year and didn't use anything in it but I recently started my business. Ok...to be honest? I received this book a week ago and is currently standing proudly on the top of my shelf among other cool books such as The 4 Hour Week, Your First $100 million, The E-Myth Revisited ant the list goes on...so your book is currently representing the rest of the squad, MJ. I had a plan of starting this book next week. However...thanks to all of you folks that posted your responses I will pause my life for today and read this book in a one go - this means that today is all-nighter for me. I know for the fact that I will be drilling through (i.e. reading) this book a second time after I finish it today - to take some notes and do some analytical/critical thinking. Asta and Buickestate like this. Picked up the Millionaire Fastlane and couldn't put it down once I started. Thank you so much for sharing this with everyone starting out like me, MJ!